Link to information from here. The addresses shown here are used by the special custom chips (named "Paula", "Agnus", and "Denise") for transferring data among themselves. Also, the Copper uses these addresses for writing to the special chip registers. The Amiga has two 8520 Complex Interface Adapter (CIA) chips which handle the serial, parallel, keyboard and other IO activities. Note: CIAA can generate interrupt INT2 and CIAB can generate interrupt INT6. 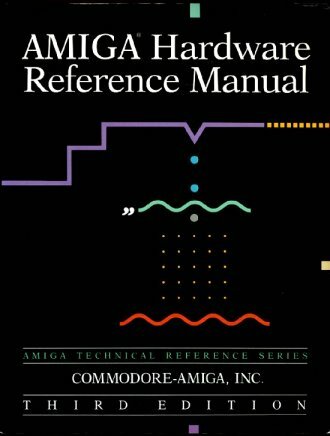 ReSource provides a set of symbols for the custom hardware. 4.00 0xBFExxx Not exposed as accessible symbols. 6.06 0xDFFxxx Through the Hardware menu, as the custom option. 6.06 0xBFExxx Through the Hardware menu, as the cia option. 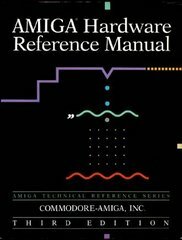 Amiga - The Wikipedia entry for the Amiga computer.